A Silver Bracelet and Bird Feather, a jewel of creation selected by Stephanie Ducauroix, one of the 4 designers who created Les Poulettes. 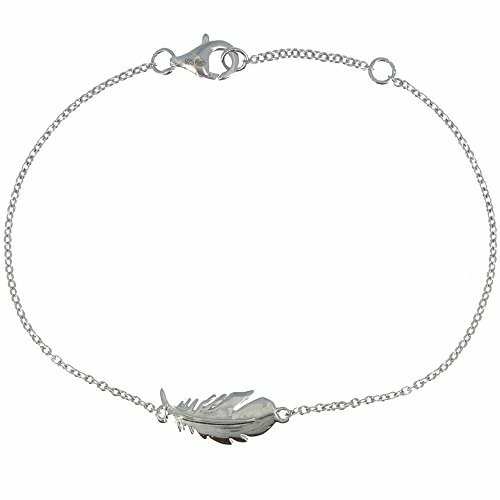 Silver bracelet, with a Bird Feather (7mm x 16mm) with its lobster clasp. Sizable from 16 to 18 cm. Matching Necklace. A Jewel delivered in its Les Poulettes gift box.